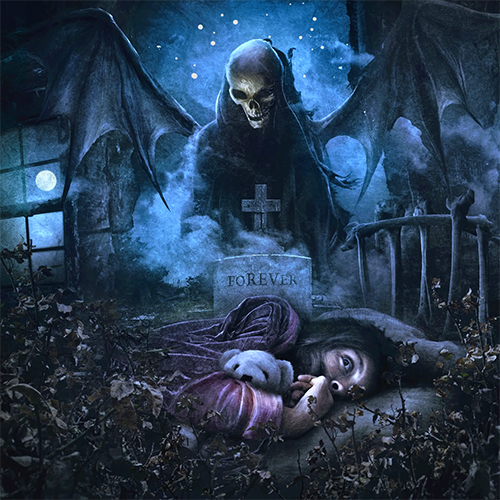 Nightmare is the fifth studio album by American hard rock/heavy metal act Avenged Sevenfold, released on July 27, 2010. Responsible for the group's first No. 1 debut on the Billboard 200 chart, it is often considered by fans as their darkest release, especially due to the fact that it was recorded only months after the passing of drummer and founding member James "The Reverend" Sullivan on December 28, 2009. A notable fact about the album is that, prior to James' passing, demos of the album's songs were already recorded, with some of these recordings featuring singing by "The Rev" himself. The fact that these demos are James' final recordings (especially the song "Death", presented by him only three days before his death) makes them highly sought after by the most dedicated Avenged Sevenfold fans. 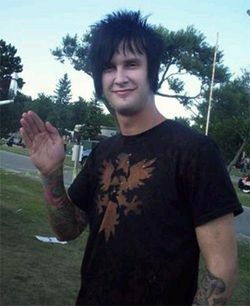 James "The Rev" Sullivan died of an accidental overdose of prescription drugs and alcohol. Work on Nightmare commenced right after the touring cycle for the promotion of the 2007 album Avenged Sevenfold. The band was inspired by severe events surrounding them at the time, which led the group to, initially, follow the route of writing a concept album that would be, according to guitarist Zachary "Zacky Vengeance" Baker, their “most personal and epic Avenged Sevenfold album.” By the end of 2009, songwriting was finished and the set of demos was recorded to aid on the studio tracking of the songs, set to start in January 2010 – a plan that was postponed after Sullivan's death. The various 'finished demos' were recorded by the band at M. Shadows' home studio. "So Far Away" – originally conceived as a tribute by guitarist Brian "Synyster Gates" Haner Jr. to his deceased grandfather – had multiple private demos recorded on the road, while "Death" was solely recorded by Sullivan. The gear used was simplified, with James playing his parts using an electronic drum kit. The more unusual instruments featured on the album – such as the xylophone/glockenspiel on "Nightmare" – were apparently recorded in advance and are present on the available demos. It's unknown how much of the original lyrics – extensively modified after James' passing – was finished at this point. The demo of "Nightmare" features almost all lyrics present on the studio version, while "One" (and presumably other demos) features placeholder "lyrics" filling the unfinished parts of the lyrical composition. Parts of Rev's vocal take from "Death" – including a brief segment of placeholder mumbling – are used on the studio version (renamed "Fiction") as well as live performances as a tribute to the drummer's legacy. Mike Portnoy, then-Dream Theater drummer, joined Avenged Sevenfold in the studio. "Nightmare" was the only Nightmare demo to be officially released by Avenged Sevenfold, being offered as a pre-order bonus track on the limited edition deluxe set Book of Nightmares. During a Reddit AMA (Ask Me Anything) session in November 2012, M. Shadows was questioned about a possible release of the entire set of Nightmare demos. “Possibly one day... I don't want to sell anything of The Rev's... so if we release it should be free,” Sanders responded. Also during the session, a fan asked about the possibility of a release of "Death", a question the Avenged Sevenfold frontman responded with “Hmmm maybe. It's kinda personal though,” possibly referring to the impact of James' death on his bandmates' lives at the time, aligned with the fact that "Death" was his final composition for Nightmare. In April 2014, "One" – the demo version of "Buried Alive" – was leaked online. 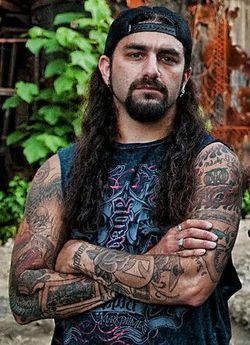 Some fans point former Dream Theater drummer Mike Portnoy – who played the drums on Nightmare and had access to the demos – as the source of the leak, as he made a post on his official Facebook page commenting about the track in September 2013, but no sources have confirmed or denied this. In August 2017, YouTube user 'A7XEntertainment' published a video containing a low-quality snippet of what was supposed to be "Death" – the demo version of "Fiction." While its quality among other factors raised questions about its legitimacy, the uploader later followed up with another excerpt from the same track, this time from a portion whose vocals were not featured on the song's studio version. Despite a positive response to the videos, the uploader was reluctant to make the track available in its entirety. In March 2018, A7XEntertainment published yet another demo snippet, this time of "Bad Men" – the demo version of "Save Me." His three videos were made private shortly after this, reportedly out of guilt over the leaks, an issue he has since opted to move on from. The demo version of "Nightmare", synchronised with the song's music video. "One", the only unreleased Nightmare demo leaked so far. Matthew "M. Shadows" Sanders – lead vocals on "Nightmare"
James "The Reverend Tholomew Plague" Sullivan – drums, lead vocals on "One", "Bad Men", "Reagan Blast" and "Death", piano on "Death"
↑ "Avenged Sevenfold Scores First No. 1 Album on Billboard 200". Billboard. August 4, 2010. ↑ 2.0 2.1 "MIKE PORTNOY - Channeling The Rev With Avenged Sevenfold". Reproduced from the November 1, 2010, issue of Modern Drummer: MD magazine. Archived from the original on May 14, 2012. ↑ "Has The New Avenged Sevenfold Album Been Given A Title?". Metal Hammer. May 14, 2010. Archived from the original on May 18, 2010. ↑ 4.0 4.1 "Avenged Sevenfold". Translated from the October 2010 issue of Close-Up Magazine. Retrieved April 18, 2017. ↑ "Avenged Sevenfold Drummer Died of Accidental Overdose". Rolling Stone. June 9, 2010. ↑ ALBUM UPDATE FROM ZACKY V. November 5, 2009. Archived from the original on November 8, 2009. ↑ 7.0 7.1 7.2 "Avenged Sevenfold: The Rev's Passing Steered Album's Lyrical Direction". Ultimate Guitar. July 13, 2010. Archived from the original on July 16, 2010. ↑ "[Radiografía] Synyster Gates de Avenged Sevenfold, invierno de 2010" (in Spanish). Binaural. December 9, 2010. ↑ A7X ENTERS STUDIO WITH MIKE PORTNOY. February 17, 2010. Retrieved February 28, 2018. ↑ LETTER FROM ZACKY. July 1, 2010. Retrieved April 18, 2017. ↑ darthsean19 comments on I am M. Shadows, Lead Singer of Avenged Sevenfold. November 14, 2012. ↑ RapersGonnaRape comments on I am M. Shadows, Lead Singer of Avenged Sevenfold. November 14, 2012. ↑ Mike Portnoy - My iPod is on shuffle and the A7X demo for.... September 27, 2013. Retrieved April 18, 2017.